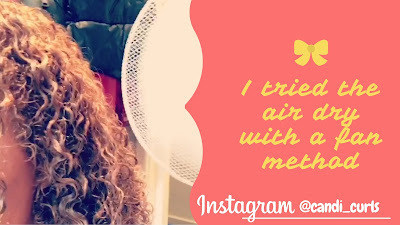 So I've seen a few people talking about air drying their hair with a fan and i just had to try it! A fan? As in a normal stand up fan? YEP! So i am a fan of air dying my hair instead of using a hair dryer due to my hair not being very good with heat. If i of course am going for a more voluminous look, then a hair dryer (low heat) and diffuser (I use this one) will always be my go to method. I didn't have to rush off anywhere so i thought it would be a perfect time to try this method out. I was very very happy with the outcome. It took me maybe 10-15 mins of sitting on the floor in front of the fan (on full speed) for my hair to be almost completely dry. Anyone used to using a dryer knows that to get hair to dry fully takes at least 20mins of diffusing, so big bonus. The first thing that i noticed about my hair during this method, was that my curls were not bouncing up, resulting in shrinkage. My curls stayed with the definition that styling products had created, kept the length it has when it is wet, but yet was almost fully dry!!! I gave it a little longer, but this didn't change at all. My hair was long, dried, definied and shiny. These are results that even usual air drying doesnt usually achieve, as with my hair the top back section dries a million times faster than the rest of my hair (👎). 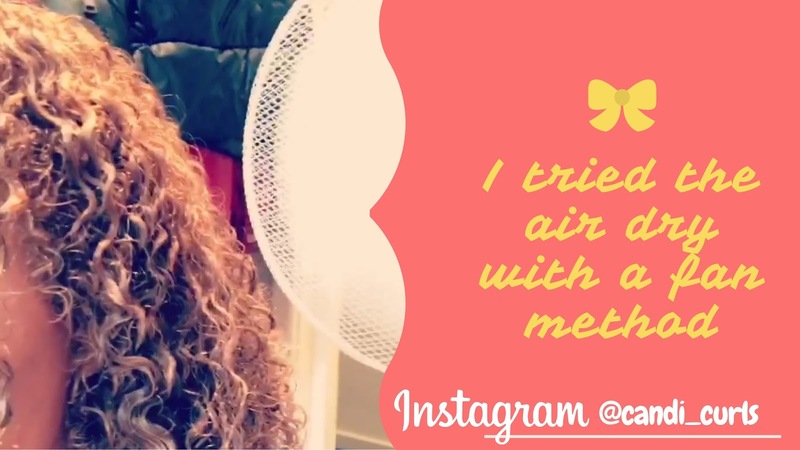 Click the link to watch the video here and of course check out my instagram page @candi_curls to see the final results and hear what i thought. PS please do try this method, i think it may be my new faveourite way to dry my hair.